Do you have replacement seals for these valves? BEST ANSWER: Unfortunately we do not sell replacement seals for these valves. I have sent this on to our product team for feedback. Thank you. The rubber material on the lever is burnt from many a boil over 4 years. But the thing keeps on ticking, never a leak. It gets the job done, yes. However, after about 10 brews I noticed some black residue by the ball. Of course, this was due to my poor cleaning procedures (which I thought I was pretty detailed on) but I was still a little shocked as to how much gunk was in there and made me wonder how much of that was getting into my wort. I have since purchased a 3 piece ball valve and I must say the extra dollars are worth it! Besides, I would rather pay an extra $10 now than to pour out an entire batch because my ball valve was hiding some gunk. These valves are great. Didn't want to spend the money initially and instead went with brass from the hardware store, but once I got my stainless steel kettle I had to make the switch. Now I have three and might be getting a fourth soon. Works great. Bought this for the outlet on my March pump. Stays tight. I am very happy with this valve. Happy its functionality and ability to be boiled for sanitization. Others may not like the lock it has, but it has saved me several times when lugging a full kettle around. Use these in many areas of my system. Works well, and cleans well if you are careful to open and close several times during cleaning. I upgraded my brass ball valve on my hot liquor tank to this stainless ball valve. Works and looks great! Works good and last a long time. Just make sure to clean properly after every brew session. 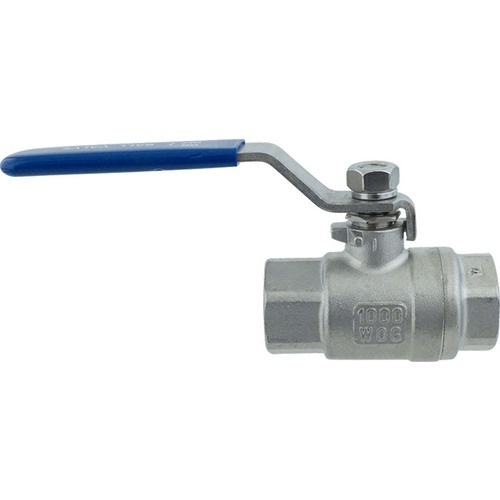 I ordered this ball valve along with my Chugger Pump to manage flow rate out of the pump. I already have these on all my kettles. Nice quality 304 stainless. Does what it should and stays tight over multiple use. Wish ot cleaned easier, have to upgrade for that. These works great. I own a few of them on my brew kettles and hot liquor tank and I've never had any problems. Does everything you want it to and the price is in line. Good quality and reliable. Been in service for a few months with no issues. My brewing set up has 7 of these in total. Perfect for the next level brewer. This valve works great on my mash/lauter tun. It's exactly what you would expect. I have several of these that have been in service for years with no problems. As for temp issues, wear brewing gloves and you will have no problems. Nice action, easy to clean. Very high quality valve. Those are some solid valves. Works great but not the easiest to get it cleaned though... If you've got the money, go for the 3 piece. It's great to find all of your brewing needs on one site. Bought this along with my ported boil kettle. Can't beat the price and the convenience for transferring to fermenter! Works great. Solid build, easy to break down for cleaing, and affordable. Couldn't really ask for more. Valve performs great, easy to maintain so don't be lazy. For those posting about the safety collar getting very hot to the touch during long boils, easy fix is cut a 1/2" piece of silicon tubing (1/2" diam. works best) and slip it down the handle and over the collar. I also trashed the blue vinyl cover the handle and slipped about a 3" piece of silicon tubing over that. Works great and no burnt fingers so I can continue lifting.........pints that is...Haw! I had no way to weld my kegs so I used this. It is hard to get an exact fit at first and I had leaking. I actually loosened it up and the leaks went away. Don't over tighten or you make twist the oring. Once you get is set you never have to mess with again. These are easy to clean if you clean them shortly after you use them. I have no problems with them. Works fine for a cheap valve to get the job done. Harder to clean and repair, Blichman valve solves that problem if you're looking for durability. This valve is great. You do need to disassemble to clean sometimes due to wort/hop gunk getting stuck in there but it's pretty easy to take apart and reassemble. It does what is needed without fuss; easy to clean and tough as nails. I like having the lever lock in place as it has saved me more than once. This is a good value for the price but, as others have stated they are difficult to clean. The 3 piece valves are a better option in regards to keeping them clean, but these are definitely easier on the wallet. 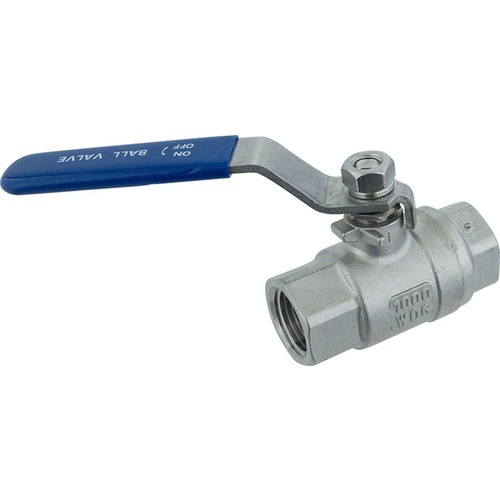 The ball valve has some resistance which is desired. There is a locking mechanism that is good in theory, but the resistance alone should be fine enough. When the spigot gets hot, you need to use something to pull up the lock otherwise you might get a burn. Very solid valve. I actually like the level lock so that I don't actually push the lever during brew day. Works well with silicon tubing. No matter how much one thinks that these vales are clean, the wort gets inside. 3-piece are easier to clean, but still have the same problem of wort entrapment. These are great valves. Easy to clean, don't leak and reasonably priced. I have these on my keggles and am very pleased with them. I do however wish that lever lock wasn't there. I haven't got around to cutting it off yet. 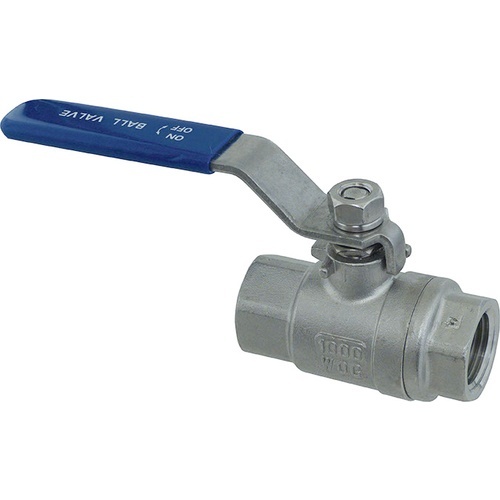 Great price on a great ball valve. This is the same valve I have on other parts of my equipment so I stuck with it. They have never failed me and are easy to clean. The pricing on them is just an added perk. Works great, this does have a metal sleave on the handle to lock the ball valve to the on or off position (simple to remove with pliers). Nice SS ball lock. These were my go-to valves before making the leap to tri-clover. Only drawback is that these are difficult to clean properly so I wouldn't recommend using on a fermenter. This valve works as you hope it will. It is an excellent valve - just make sure you clean it well after each use and it will serve you a long time. It tends to keep liquid inside the valve so you may need to take extra care to turn the handle a few times with cleaner/sanitizer in the line to release it. Hope this helps! Enjoy! I actually like this design better than the ball valves you can disassemble with body bolts. It is easy to take apart and sterilize. Good construction. Works well, no leaks and it is a step up from the brass ones I had been using. Smooth, easy to use. Watch the latch if you have it on a gas burner! Very easy to clean, I use these on my mash tun and brew kettle. Easy to regulate. Make sure to use teflon tape for a perfect seal.